supported by the real oilfield pros. 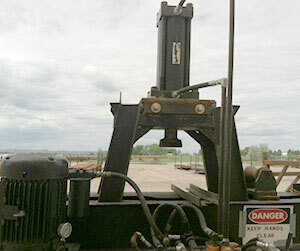 PTECH Completion Drill Pipe meets the demands of today’s long laterals with higher torsional strength, gas-tight seals, and a streamlined connection profile. Field-proven, high-torque connection. designed and manufactured for maximum strength, reliability. and hydraulic performance. Know what you’re buying. Trust who you’re buying it from. 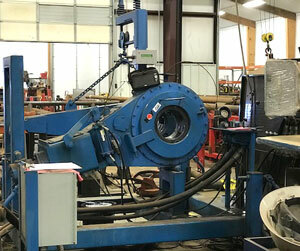 With proprietary PTECH innovation in every pipe and connection, Redneck Pipe Rental is the trusted source for smarter industry solutions. Our tubulars are built to deliver results and keep production moving, even in the more demanding and high-risk working conditions. 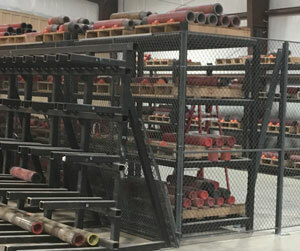 Our experts specialize in providing professional drill pipe rental and repair services to the drilling industry, with programs and options designed to make managing your operations simple. It’s all about delivering high-quality products with real value, and fair and easy pricing. We have a variety of CNC and manual machines to handle any size job and meet the demands of our customers, from one-piece to mass production. Our facilities and equipment are set up for high production speeds, while always maintaining consistent product quality.